Premier Office Machines is solely owned by Eddie Burns who has operated his company since 1982. His technical expertise was honed in the early 70's while working repairing typewriters and calculators as well as the early generation of analog copiers and printers. His involvement with Kyocera included training that has produced awards for his technical expertise, especially in the transition from analog to the digital era. Premier Office Machines is a local office machine distributor that has furnished and serviced productive office systems to businesses since 1982. Originally located in Friendswood, Texas, Premier has recently expanded, constructing a new 4,000 sq. ft. facility in Santa Fe, Texas. The new facility maintains thousands of parts for prompt service and repair. 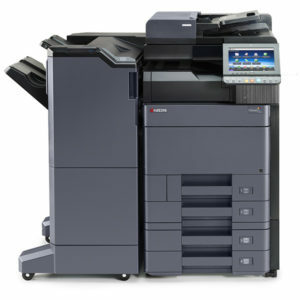 Low overhead and an established machine base enables Premier Office Machines to provide economical programs that best suit your company's copier and printing needs.